What is mass and how does it compare to weight? 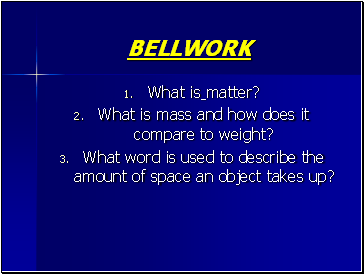 What word is used to describe the amount of space an object takes up? 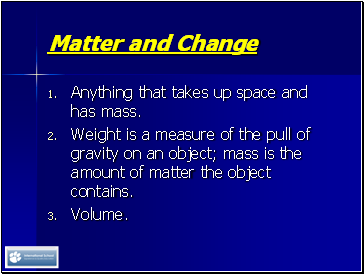 Weight is a measure of the pull of gravity on an object; mass is the amount of matter the object contains. 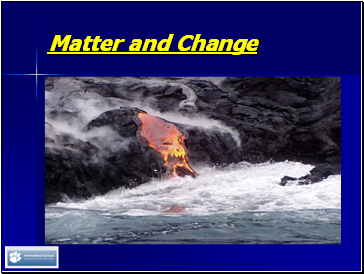 What states of matter are represented in the photograph? What must you do to a substance to change it’s physical state? 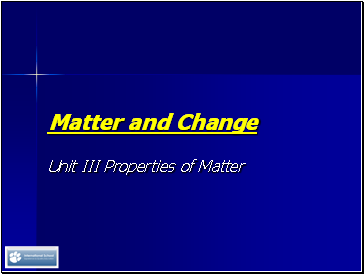 The mass of an object is the amount of matter the object contains. 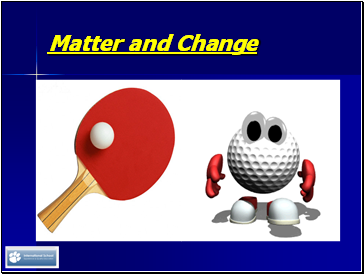 A golf ball has a greater mass than a table tennis ball. The golf ball, therefore, contains more matter. 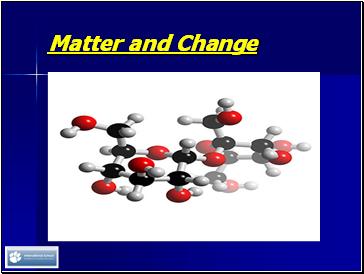 Materials differ in terms of the kind of matter they contain. Table sugar is always 100% sucrose. It always has the same chemical composition. Matter that has a uniform and definite composition is called a substance. Substances contain only one kind of matter. Which of these two is a substance? All samples of a substance have the same physical properties. All crystals of sucrose taste sweet and dissolve completely in water. A physical property is a quality or condition of a substance that can be observed or measured without changing the substance’s composition.